NASA Earth Observatory image by Lauren Dauphin, using VIIRS data from the Suomi National Polar-orbiting Partnership. Text by Kasha Patel. 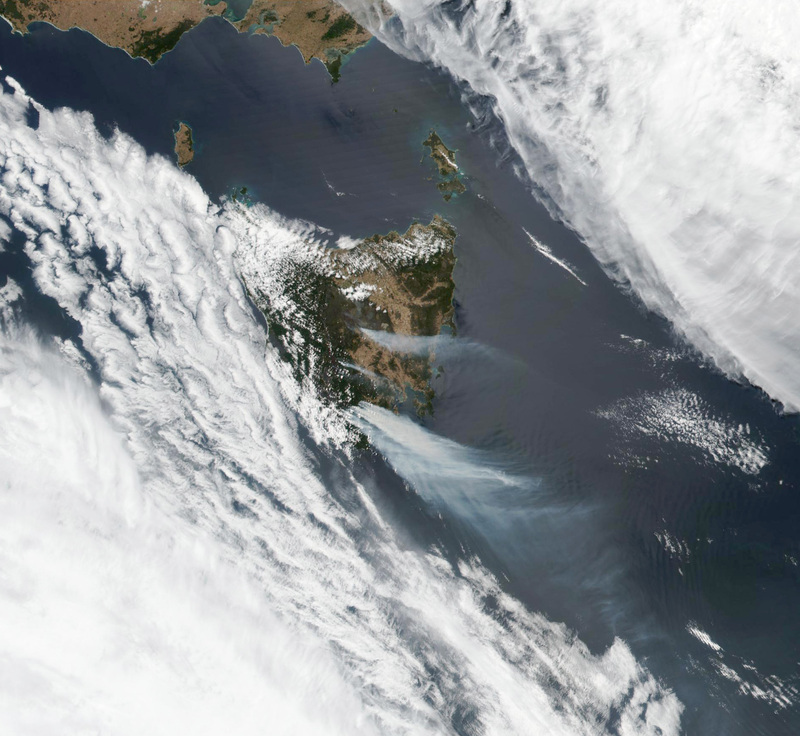 Large fires fueled by extremely dry and hot conditions have been burning for almost two weeks in central and southeast Tasmania, the southernmost state of Australia. This image was acquired on January 28, 2019, by the Visible Infrared Imaging Radiometer Suite (VIIRS) on the Suomi NPP satellite. 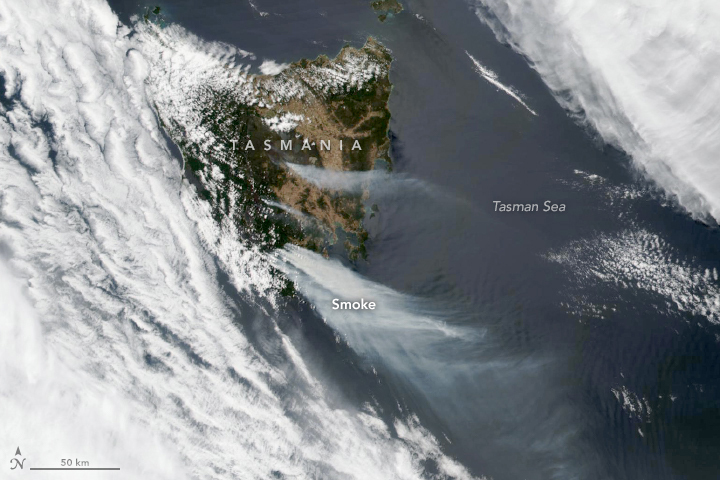 As of January 28, the Tasmania Fire Service reported 44 fires. The Great Pine Tier fire in the Central Plateau had burned more than 40,000 hectares. The Riveaux Road fire in the south had burned more around 14,000 hectares. News outlets reported smoke from some of the fires was visible as far away as New Zealand.